The Billards Montfort Pilat Pool Table is part of our luxury pool tables range and comes with Free Delivery and Installation (worth £500), over £250 of Free Accessories, and is exclusive to Home Leisure Direct. The Montfort Pilat is available as either an English pool table using 2" size balls or as a American pool table using 2 1/4" size balls. It uses a single piece slate bed for 7ft size options, can be fitted with either a single piece slate or a three-piece slate for 8ft size, and has a three-piece slate for 8.5ft size. The Pilat is a part of the Design Range from Billards Montfort, and is manufactured in either solid beech or solid oak. It has modern lines and attractive curved legs, meaning it will fit in with many types of décor. The clean lines give this table an incredibly modern and contemporary look. We feel this is one of the most beautiful tables on the market. The Pilat has a metal frame construction, with solid wood legs, frame and cushion rails. The slate bolts onto the main support frame, and the top frame and cushions bolts directly down onto the slate. This provides an incredibly solid, secure and stable playing surface, which will reward you with incredibly accurate and responsive playing characteristics. This is both an awesome pool table, and a wonderfully stylish choice as a dining table, should you wish to make dual use of it with the optional dining top. The Pilat is available in 7ft, 8ft and 8.5ft sizes. It is fitted with high grade tournament quality Simonis cloth as standard. There is a huge choice of table finishes available, enabling you to get just the look you are seeking. The Pilat is available in a number of wood finishes and high gloss or matt paint finishes. 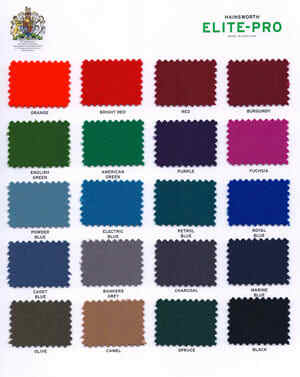 You can select from the choice of 150 RAL colours, should you opt for a paint finish, enabling you to be truly individual. The paint is sprayed in the Montfort factory by skilled technicians, applying 10 coats to ensure the deepest shine and durability. The Pilat is available in either English Pool, American Pool, or for Carom (very popular in France, South America and Southern Asia). The Montfort Pilat is exclusive to Home Leisure Direct in the UK. If you are choosing an American Pool version of this pool table we will supply you with Aramith 2 1/4" Spots and Stripes Pool Balls as a matter of course. This table is available in 7ft, 8ft and 8.5ft sizes. Ball Return - The Pilat comes fitted with a retractable ball return system. Balls are collected underneath the body of the table for easy retrieval, yet the tray remains unobtrusive and doesn't detract from the overall look of the table. When not in play the ball tray clips up underneath the table and is completely hidden away. You would never know it is a pool table when the dining tops are in place.